Kit improves mower's vacuum performance for better collection of leaves and dry grass. 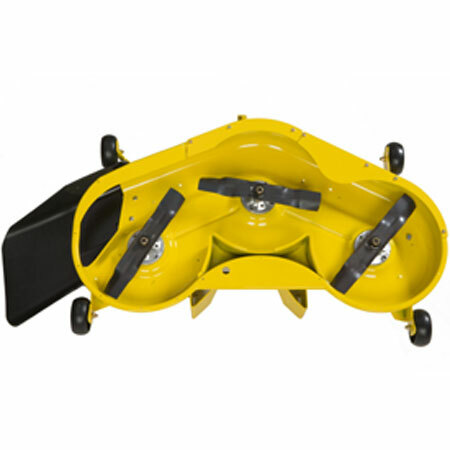 The leaf bagging kit for the 48-inch Edge deck reduces leaf blowout when using a rear bagger to collect leaves. It can also be used to reduce blowout when mowing dry grass. 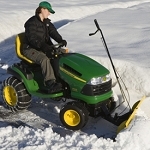 However, removal of the kit when mowing higher-moisture grass may be desirable as it decreases the cut quality slightly. Each leaf bagging kit includes a front and left-side baffle and attaching hardware. 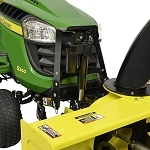 will this help my la145 mower pick up all grass and leaves?or do you make a blower to help suction?